Twenty years ... yowza. That's how long it's been since Probe, my debut novel, first saw print. Sadly, Probe has also been long out of print. 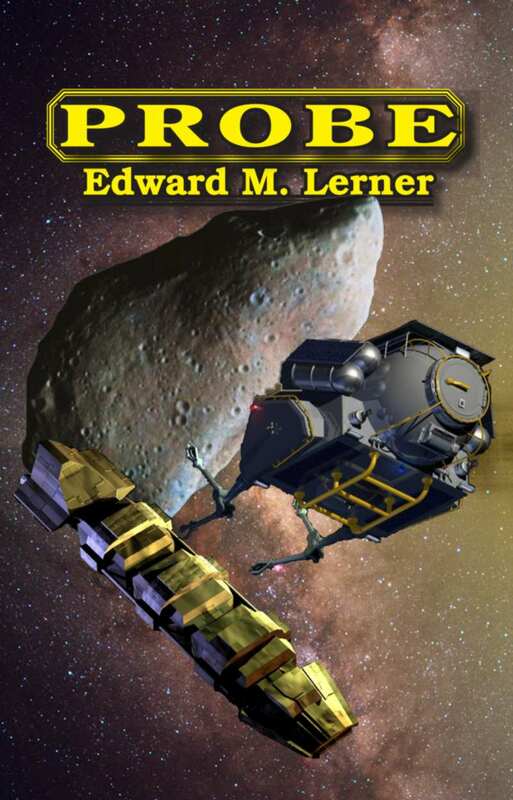 So: I am pleased to say that Probe is once more available (with new foreword and afterword), this time in a classy trade paperback edition and -- something scarcely imaginable in 1991 -- as an ebook. 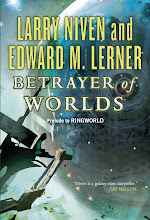 The nearby cover is from the new edition. What is the probe of the title? The hero's own Prospector spacecraft, prowling the Asteroid Belt for mineral wealth? The alien derelict that Prospector had the (mis)fortune to come upon? Something the military does not want found? Or is it something really out of the ordinary? 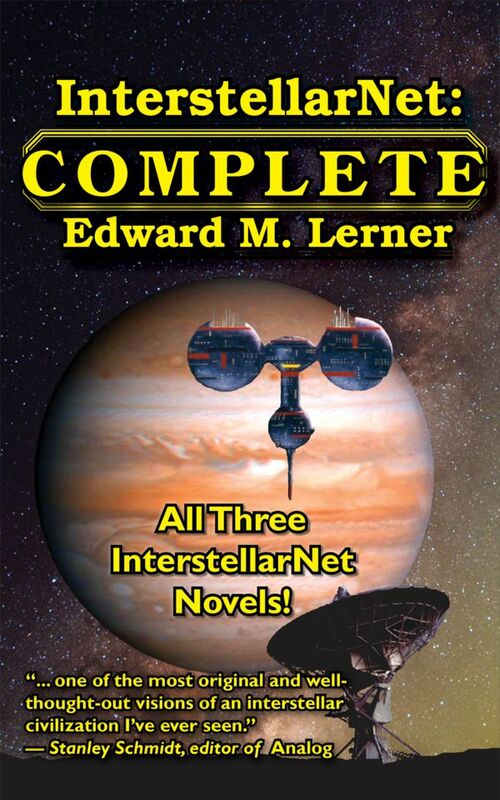 "With a scientist's background and a novelist's eye, Ed Lerner has written a fast-paced thriller sure to please techno-junkies, sci-fi lovers, and anyone who simply enjoys an exciting yarn." "... A fast-paced, hold-on-to-the-edge-of-your-seat thriller." "... A page turner, sprinkled with ample doses of the heart of darkness that shadows all human endeavors ... good old-fashioned flight and chase and murder, abetted and enhanced by futuristic technology." Curious? 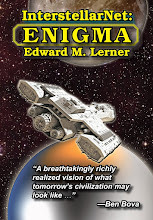 Check out a sample of Probe or check the Amazon page (for print and Kindle editions) to see the reader reviews from the first edition.